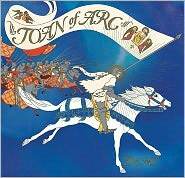 In this exquisitely illustrated new picture book biography of Joan of Arc, award-winning author/illustrator Demi retells Joan's timeless story for today's young people, with simple text suitable for elementary school children and gorgeous mixed media illustrations, inspired by 15th century medieval manuscripts, stained glass, paintings, and sculpture. Joan's story is told chronologically, beginning with her ordinary girlhood in rural France, in a time when the lives of peasants like Joan's family were made dangerous by the ravages of a long war with Burgundy and England. At the tender age of thirteen, Joan begins to have visions telling her that she would save the kingdom of France by leading the heir to the throne, or Dauphin, to Reims Cathedral to be crowned king. The story of how Joan convinced powerful men to back her, a poor and friendless maiden, convinces the Dauphin she is sent by God, leads the French army to victory, and then falls from the height of power to her ultimate tragic end as she is burned at the stake, remains compelling for all ages, and is rendered in glowing detail by Demi. The oversized book's pages mimic the ivory colored parchment of the Middle Ages, while the illustrations seem to glow with gold, vibrant purple, and the red of the flames that ended Joan's life. While the faux illuminated manuscripts are the star of this book, with exquisitely detailed borders enriching each image, Demi's simple retelling of Joan's story should fascinate young people not familiar with her history. Enough details are provided to make the book useful for school reports as well as pleasure reading. This book is a must-buy for school and public libraries alike. Highly recommended! 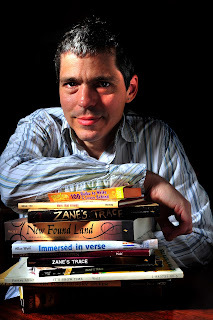 Avi, Newbery award-winning author of more than 60 novels for children and teens, turns once again to historical fiction in his newest novel, set in 1893 New York City. His hero, thirteen-year old Maks, makes a bit of money as a newsboy to help his impoverished immigrant family on the lower East Side. When his older sister, Emma, who works as a maid at the swank Waldorf-Astoria hotel, is falsely accused of theft and imprisoned in the city prison ominously called the Tombs, Maks teams up with a homeless girl, Willa, to try to clear his sister's name and free her from jail. At the same time, he has to avoid landing in the clutches of the Plug Ugly gang, whose boss is trying to take control of all the newsies. Confronted with a mystery whodunit, Maks enlists the help of a dying lawyer to find the true culprit of the theft at the hotel. Avi knows how to spin a convincing tale, and this book is no exception. In his afterword, he notes that the book is his attempt to "catch a small bit of how New York City kids lived at the end of the nineteenth century." He's particularly adept at evoking the sounds, smells, and look of tenement life in New York, with its mix of poor immigrants from many nations. This poverty contrasts with the swank brand-new Waldorf Astoria, where Maks winds up working under cover to try to clear his sister's name. Avi uses a very colloquial voice to tell the story, with the narrator speaking directly to the reader. While I understand the use of a strong point of view, I was irritated by the way he tries to evoke the dialect of the time, with plenty of dropped letters, i.e. "'cause' instead of "because", 'bout' instead of "about," 'em' instead of "them," etc. Avi includes an Author's Note with historical details about the period, as well as suggestions for further reading and viewing. 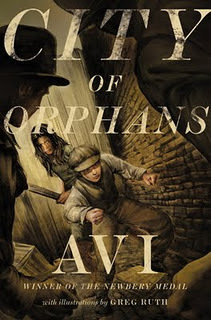 City of Orphans is definitely worth reading, and will be enjoyed by young people who like a historical mystery, but it would not be one of my favorites among Avi's works. The Fourth Musketeer has been very busy finishing up her library school e-portfolio (now waiting for review by her advisor) and has not had as much time for blogging lately. Now that her school work is finished, she will be back to blogging about historical fiction again: all for one, and one for all! Today, I am pleased to feature an excellent backlist title about World War II by Kimberly Brubaker Bradley. I am looking forward to reading her newest book, Jefferson's Sons (on my list to find from the library! ), which has had excellent reviews so far. Based on a true story, For Freedom tells the tale of 13-year old Suzanne, an aspiring opera singer and student in Cherbourg, France. When the Germans bomb her town, she and her best friend are injured and witness the horrible death of a neighbor. 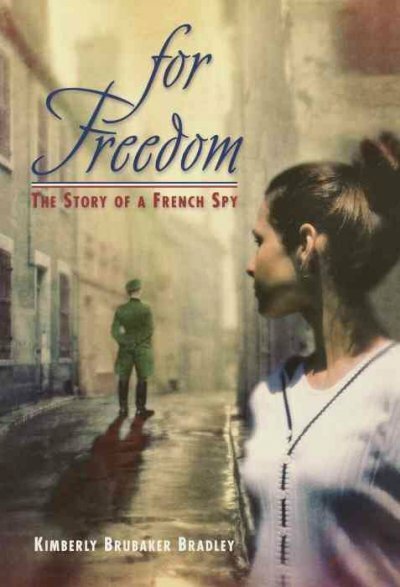 Rather than give in to fear, Suzanne becomes a spy for the French resistance, carrying messages that help the Allies plan the invasion of Europe. Her work is extremely dangerous and often terrifying, and she is one of the few operatives from her unit to survive the war. Not even her family can know about her dangerous work. This novel is an excellent first-person narrative of an ordinary teenager who discovers an inner courage that helps her to play a part in defeating the Nazis, even though she must keep her role a secret from all her family and friends and pretend to carry on as normally as possible. This novelization of a true story is very suspenseful and a great book to recommend to students since it has a very positive message of how a young girl could demonstrate great courage in extraordinary circumstances. This book could easily be featured in a display or perhaps a book talk about spies, a subject very popular with young people. Couldn't you just imagine: Beyond James Bond: Spies Real and Imaginary. A great book talk for teens or tweens! What are some of your favorite spy stories for young people? Please leave your favorites in a comment below. 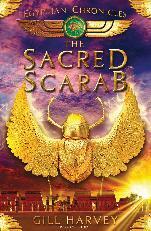 Primary category: The Sacred Scarab, by Gill Harvey (Bloomsbury), part of The Egyptian Chronicles, a series of "gripping thrillers" set in ancient Egypt. I don't believe this series is available in the U.S.--doesn't it look great? Love that cover! Teen category: Prisoner of the Inquisition, by Theresa Breslin (Doubleday). This story of the Spanish Inquisition was reviewed recently here at the Fourth Musketeer. "That the children reviewers enjoyed the book and would recommend it." "That the review contained evidence that ‘the history was good' and that the reviewer had both learnt something and was keen to find out more." The complete shortlists for both categories can be found at the Historical Association's website. I was pleased to note that I had reviewed four of the six teen finalists on this blog. Thanks so much to author Allan Wolf for agreeing to be interviewed here at the Fourth Musketeer. 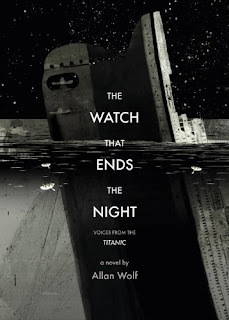 His new book, The Watch that Ends the Night, tells the story of the Titanic through free verse poetry. With its official release date on October 11, the novel has already received starred reviews from Horn Book, Kirkus, and Booklist. Congratulations, Allan! Q: 2012 is the centennial of the Titanic's first--and last--voyage. Why do you think that after 100 years, this story continues to fascinate the public? A: It is nearly impossible NOT to see the Titanic disaster as a metaphor for humankind’s over confidence in technology. Once a week or so, I have what I call a “little Titanic moment.” My cell phone falls into the toilet, for example, taking with it months’ worth of contact numbers. And I realize I’m unable to recall any actual numbers in order to dial them the “old fashioned way,” from memory. I’m helpless. On a personal level, the Titanic disaster story appeals to our individual insecurities about death. Here are a couple thousand travelers, of which most were neither heroic nor famous nor historically significant, and the majority were dead within three hours. We cannot fail to find some person aboard with whom we can relate. Then of course you have various historians and artists keeping the story alive. Books about the Titanic started coming out a couple months after it sank. Then Walter Lord’s book, A Night To Remember, came out in the 50’s, followed by the book’s movie version. A combined French and American effort successfully discovered the wreck site. Then came the Cameron movie. Q: I'm sure my readers would be interested in learning more about your research process for this book. For example, can you tell us how you selected the individual passengers and crew whose stories you weave together in the narrative? A: I wanted to set up The Watch That Ends the Night as an allegory. Each character plays a specific role. And each character is clearly labeled. They are The Captain, or The Baker, or The Millionaire, or The Immigrant. No need to remember their names. On a mundane level, these labels make it much easier to keep track of so many characters. On an allegorical level, each specific character acts simultaneously as a generalized idea. It took me over a year to sift through all the 2,207 people on the Titanic in order to find the proper characters for my book. It was something like a massive casting call to find actors for a movie (except that all of the people I auditioned were dead). I knew the book would be in an ensemble of different first-person voices, so I needed a good cross-section. Some from each class. Some from various parts of the ship. Some who survived. Some who died. And of course the whole time I was looking through the facts for anything that would add realism or depth to my fiction. Q: What was the most surprising thing you learned about the Titanic or its passengers and crew during your research? I’m happy to have your wonderful Historical Fiction forum to say what I’m about to say, Margo. And what I’m about to say may offend many Titanic enthusiasts, at least initially. So hear me out. What surprised me most about the passengers and crew was how historically insignificant the majority of them were. That may sound harsh at first, but think about it: the only reason we are talking about the passengers now is that they happened to be on a ship that sank. And contrary to what some would have us believe, the sinking of the Titanic did not bring about World War I, or the rise of the middle class, or the introduction of income tax, or any other historically significant shift that would not have happened on its own. At first this annoyed me and made it difficult for me to engage with any of my characters. But gradually each character began to show me more subtle types of heroism: The heroic parents who set out for America and a new life, while simultaneously mourning the death of their son; The society man who dared to marry for love; The sailor, raised in orphanages, who now sees the world from atop an ocean liner’s crow’s nest; Even the four-year-old boy, kidnapped by his own father, who must make take a long journey without the comfort of a mother. We are all making history, in our own individual ways, simply by facing the mundane challenges of life. Q: Do you plan to participate in any of the centennial commemorations? A: I think they are really expensive. Ha. Seriously, if someone offered me (and my wife and three kids) a free ticket, I’d go and get all goose-bumpy with the other Titaniacs. But otherwise I will likely be at the local library doing a Titanic power-point presentation or something. Q: Can you share with us any details about your upcoming projects? A: I am presently working on two books, both for Candlewick Press. The one up next is what I can best describe as a verse-novella about Sacagawea and her son, Jean Baptiste. The book is a “spin-off” from my earlier novel, New Found Land, about the Lewis and Clark expedition. The new book will braid together two inverse narratives: The Sacagawea narrative will begin with her death and end with the birth of her son. Jean Baptiste’s narrative will begin with his birth and end with his own death. While Sacagawea died at the early age of 25, her son lived a long and adventurous life that involved fur trapping, guiding the Mormon Battalion, living in a German royal court, surviving a sinking steamboat, working as a lawman, and mining for California gold. Once that book is done I’ll be turning to a more autobiographical historical fiction book centering around the murder of a high school friend of mine back in 1979 in Blacksburg, Virginia. Q: What draws you to writing historical fiction for youth? Were you a fan of the genre as a kid? A: I didn’t read that much as a kid. And mostly when I wrote, I wrote on my bedroom walls. That’s a whole story I was able to bring to life in my novel, Zane’s Trace. Back in the 80s I was a college instructor at Virginia Tech writing poetry for “grown ups” when I took a job with Poetry Alive! as an actor performing poetry for kids. It didn’t take me long to discover that I could make more money writing poetry for kids than for adults. I discovered next that it is easier to sell a kids’ poetry book if the poems have a unifying subject or theme or narrative. It was a natural step to then toy with poem cycles that tell a story. And where better to find a good story than history itself. And although I don’t consider myself a “Historian” per se, I do LOVE history. I like history because it gives me a comforting context for my own life and times. It helps me to feel as if I am connected to some greater whole. 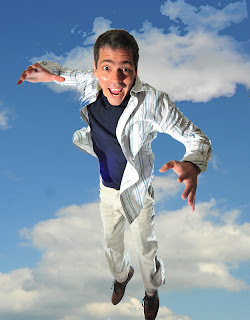 I am just one of many parts of a cosmic Rube Goldberg machine. Q: What are your three favorite historical novels (for kids or adults)? A: Favorites might be The Astonishing Life of Octavian Nothing by M.T. Anderson. Bull Run by Paul Fleiscman. Out of the Dust by Karen Hesse. True Confessions of Charlotte Doyle by Avi. I recently read Samurai Shortstop, set in 1890s Japan, by Alan Gratz and The Vanishing Point, a novel, by Louise Hawes, about the16th century painter, Lavinia Fontana. Allan with all his published books! Because of my huge load of research reading, I tend to read less historical fiction and more history and non-fiction. I will read any book by Erik Larson. I’m already WAY over my 3-book limit, and I’m just getting a head of steam. I’d better stop there. If you asked me tomorrow, I’d give you eight different answers. But that’s history for you; history changes from moment to moment. It is that dynamic nature that makes history such great fiction. Please leave a comment below if you'd like to enter to win a copy of Allan's new book, donated by Candlewick! Include an e-mail where you can be reached. U.S. residents only. A winner will be selected on October 15, 2011 by random number generator. What else could be left to say about the Titanic, we could wonder. A quick WorldCat search for juvenile historical fiction about the Titanic turned up dozens of titles, including quite a few coming out in 2011. I must be one of the few people around, at least over the age of 30, who never saw the wildly popular 1997 movie, but I was curious to read this new teen novel by poet Allan Wolf about the 1912 disaster at sea. I am a huge fan of his 2004 novel, New Found Land: Lewis and Clark’s Voyage of Discovery, which tells the story of the Lewis and Clark expedition in free verse from the point of view of fourteen participants, including Lewis’ dog, Seaman. Wolf’s new novel is in much the same format, alternating between the points of view of various crew and passengers of different social classes, including the ship’s captain, baker, wireless man, and the ship lookout; millionaire John Jacob Astor, who’s sailing with his teenage bride; the famous “unsinkable” Molly Brown; a beautiful young Lebanese immigrant sailing with her brother; a cardshark; a violinist from the ship’s orchestra; and even a rat and the iceberg itself. In his research, Wolf sifted through the 2,000 passengers and crew to identify 24 different compelling and diverse stories for his narrative. Each character writes in his or her own style, including the poems of the rat, which are written in concrete verse, and the poems are clearly labeled with the name of the character as a heading so threre’s no confusion for the readers. The groups of poems are separated into different chapters, with the story told largely chronologically. The novel begins ominously enough with the first poem coming from John Snow, an undertaker from Halifax who journeyed to recover bodies strewn in the Titanic wreckage. We then skip to the prelude, where we meet the various colorful characters who will participate in the drama, beginning with the ship’s rat. Even the iceberg in this book takes on a vivid personality through Wolf’s skillful writing. Although we know the outcome from the outset, Wolf manages to create an atmosphere of suspense throughout, particularly as we see the many messages sent through the wireless from other ships warning of the massive icebergs in the vicinity. Wolf takes the time to establish the atmosphere of “frivolous amuseument” on the giant ship, as the passengers promenade on the decks, partake of gourmet cuisine, and descend the grand staircases. Even those in third class enjoy food better than they have ever eaten before. Of course I knew the precise number of people on board. I knew it must begin with filling the lifeboats with as many souls as possible. We witness the evacuation of women and children, first class, then second class, and when the captain called for third class, there were no more boats. As the ship collapses, passengers fall into the frigid Arctic water, and the poems evoke the horror of the sounds of those who die quickly of hypothermia as well as those who tried to climb onto the lifeboats. Extensive back matter provides biographical details about each of the passengers included in the book, as well as an excellent bibliography. Our fascination with this tragedy shows no signs of abating; in some ways it’s the ultimate man against nature story, as well as a tragedy of Greek epic proportions. 2012 is the centennial of the disaster, and not only should we expect numerous books, TV documentaries, and more, you can even take a cruise recreating the voyage. (one of the two cruises being offered is already sold out!) The cruise includes a special memorial service at the exact spot of the sinking, the opportunity to wear period costumes and experience a selection of food and drinks served on the Titanic, themed entertainment, and a stop in Halifax to visit the cemeteries where victims are buried. Apparently recreation of the collision with the iceberg is not included. What is your favorite book about the Titanic? Please leave a comment with your response. Nominate your favorite books for the Cybils Awards today! Nominations for the 2011 Cybils awards are open! The Cybils awards are given each year by children's and young adult book bloggers for the year's best children's and young adult titles. This is the sixth year of the awards. If you'd like to nominate your favorite titles, surf on over to the this link. Nominations are open from October 1 to October 15. In order to be eligible, books must have been published between Oct. 16, 2010 and Oct. 15, 2011. This year, nominations for book apps for iPad, Web or computers are also being accepted. This year I am very excited to be serving as a second round judge for the Middle Grade/YA Nonfiction category! I have read many terrific books in this category during the past year, and am looking forward to seeing what the first round judges pick as finalists.